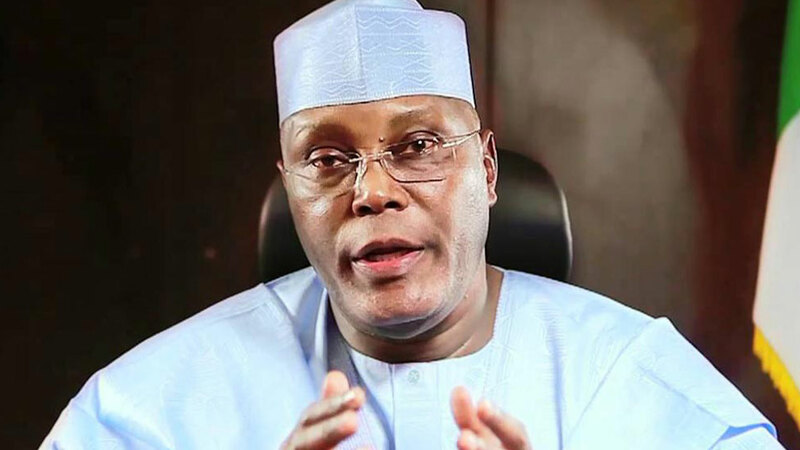 In his pre-recorded initiatory presidential campaign speech on November 19, 2018, former Vice President and PDP presidential candidate Atiku Abubakar described himself as having grown up an “orphan.” “I started out as an orphan selling firewood on the streets of Jada in Adamawa, but God, through the Nigerian state, invested in me and here I am today,” he said. “ORPHAN-a child whose parents (Father and mother) are dead. In his book, MY LIFE (2013 pg 30) refers [sic]: Atiku said his mother died in 1984. This was when he was 38 years. He was old enough to buy mum a house. “What’s the point of this lie? 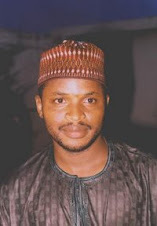 To deceive Nigerians and get their sympathy? It’s disrespectful and insulting to Nigerians for a candidate or anyone to lie to them. What this semantic contestation captures is a clash of socio-linguistic cultures. As I pointed out in my May 4, 2014 column titled “Q and A on Popular Nigerian English Expressions, Word Usage and Grammar,” my first daughter had a similar argument with her teacher nearly seven years ago. I lost my wife to a car crash in June 2010 in Nigeria and brought my then 6-year-old first daughter to live with me here in the United States the same year. One day in class, she told her teacher that she was an “orphan.” Her teacher, who knew me, said my daughter couldn’t possibly be an orphan since her father was alive. My daughter, who had become linguistically American but still culturally Nigerian, insisted that the death of her mother was sufficient to qualify her as an orphan. Their argument wasn’t resolved, so she came home to ask me if she was wrong to call herself an orphan. I told her she was right from the perspective of African cultures and UNICEF’s classification of orphans, but that her teacher was right from the perspective of conventional English. Nevertheless, other rarely used words exist in Arabic to denote an orphan: al-Lateem is a child who has lost both parents while al-'iji is a child who has lost only a mother. Note, however, that yateem is the word used in the Qur’an to refer to an orphan, which is why people who are socialized in Muslim cultures define and understand an orphan as someone whose father died before the age of puberty. Atiku is a Muslim who grew up in a Muslim cultural environment. There is no reason why he should use Western cultural lenses to describe himself. Until I relocated to America, I too had no idea that in conventional English, an orphan is generally understood as a child who lost both parents. Curiously, the meaning of the word changes when it is applied to an animal: An animal is regarded as an orphan only if loses its mother, perhaps because animals have fathers only in a reproductive, but not in a biosocial, sense. Note, though, that in English, an orphan can also be a child who has been abandoned by its living biological parents. That means almajirai (plural form of almajiri in Hausa) are invariably orphans since they don't get to enjoy the care of both parents who are usually alive. It's also noteworthy that UNICEF, being an international organization that represents the interests of people from different cultures, recognizes the cultural clashes in the conception of orphanhood and seeks a fair sociolinguistic compromise. That is why it has three different types of orphans. UNICEF has a class of orphans its calls “maternal orphans.” This category encapsulates children who lost only their mothers. It also classifies certain orphans as “paternal orphans,” which refers to children who lost only their fathers. Then there are “double orphans,” which refers to children who lost both parents. I think that’s a good cultural compromise. By UNICEF's classification, Atiku was a paternal orphan. So Atiku’s use of “orphan” can be justified in contemporary, evolving English, but even more so in historical English, as I will show below. Orphan is derived from the Latin orphanus where it meant a "parentless child." But Latin also borrowed it from the Greek orphanos where it means, according to the Online Etymology Dictionary, "without parents, fatherless." Orphan, ultimately, is derived from the Proto-Indo-European root orbho, which means, according to etymologists, "bereft of father." This clearly shows that loss of a father, not both parents, is at the core of the signification of the word from its very beginning. In fact, a survey of the earliest examples of the usage of the word in historical writings in English shows that it was used to mean only a child who lost a father. For instance, in Scian Dubh’s 1868 book titled Ridgeway:An Historical Romance of the Fenian Invasion of Canada, we encounter this sentence: “At his birth, he was an orphan, his father having died a few weeks previously.” This shows that in the 1800s, a child was regarded as an orphan only if it lost its father. Motherless Babies’ Home or Orphanage? A place where orphans are housed and cared for is called an orphanage in contemporary Standard English. It used to be called an “orphan house” until 1711. (Orphanage used to mean orphanhood, that is, the condition of being an orphan; the current meaning of the word started from about 1865). Interestingly, orphanages are called “motherless babies’ homes” in Nigerian—and perhaps West African—English. Does this suggest that our conception of orphanhood is changing from deprivation of a father through death to solely deprivation of a mother through death? Why are there not “parentless babies’ homes”? Or, for that matter, “fatherless babies’ homes”?